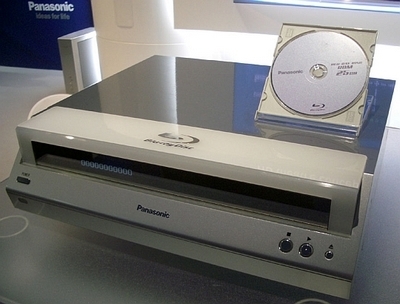 Panasonic announces that its first Blu-ray Disc player DMP-BD10 will be available this September in the U.S. Other than Blu-ray disc playback, the company has added the EZ-Sync HDAVI control function to make it simple to connect and control multiple products, such as a Panasonic Plasma TV, Blu-ray Disc player and receiver. The player will also supports DVD and CD formats. Pricing in the United States on the DMP-BD10 has not been finalized, but will be less than $1,500.